The future of non-invasive surgery has arrived at Chesapeake Vein Center and Medspa in Chesapeake, VA! Dr. Challa and his staff are pleased to introduce the Da Vinci Xi Surgical System, medicine’s premier surgical robot. Dr. Challa is one of two surgeons in Virginia to perform surgery using this revolutionary technology and he has seen unbelievable results. The FDA-approved Da Vinci Xi Surgical System is composed of four robotic arms controlled by the guiding hands of Dr. Challa for absolute precision and control. The arms are equipped with tiny fiber optic cameras, providing Dr. Challa with superior visualization, allowing him to better understand the problem and complete your surgery even faster. 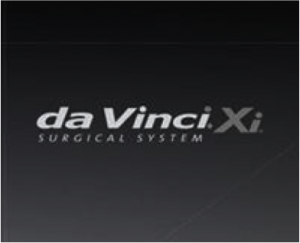 The Da Vinci Xi Surgical System is designed to facilitate complex surgery using a minimally invasive approach making your surgical experience as comfortable as possible with less downtime than traditional surgery. Chesapeake Vein Center and Medspa in Chesapeake, VA utilizes the Da Vinci Xi Surgical System for multiple procedures such as: Laparoscopic hernia surgery, laparoscopic gallbladder surgery and single site gallbladder surgery, as well as many more. Dr. Challa is proud to be a part of such a patient-friendly revolution in medical technology and is excited to share his skill with you!